While I was in Thailand, I indulged myself everyday with Southern Thai curries. No curries taste as good as the ones you grew up with! In Bangkok you may find them at the food stand known as อาหารปักษ์ใต้ – “Aharn Pak Tai” – Southern Thai Cuisine. Perhaps it would be best if I could give you a snap shot of what Thai curries are like in my village on Phuket Island. 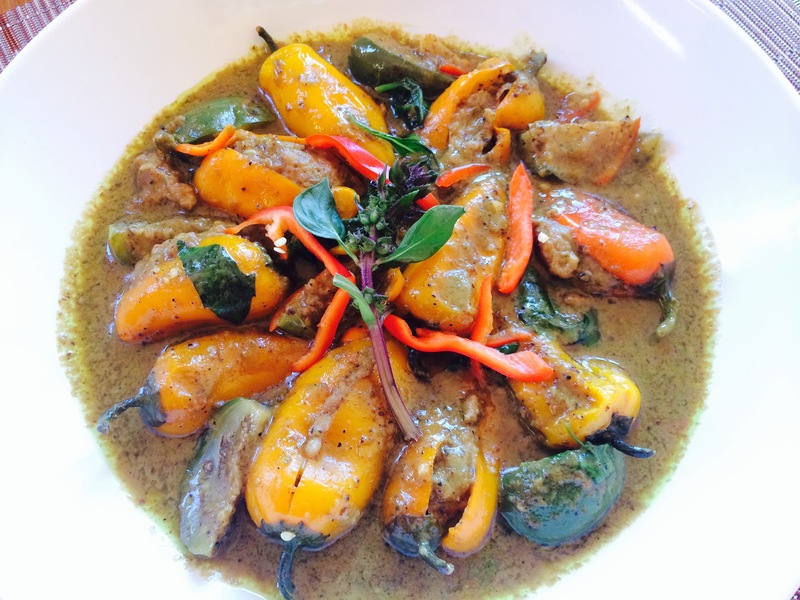 The everyday Thai curries here are mostly red curries enjoyed with steamed jasmine rice. However, behind all these great curries, it is the curry paste itself that makes these curries stand out from each other. There are many curry pastes available in the market such as massaman or yellow curry. These are well-loved, but often for special occasions like a wedding or purchased from special vendors. There are also some green curry pastes available, but they are mostly used in Thai restaurants in the tourist area, and vendors offer them for variety and to venture out to cuisine from Thailand’s central region. For this blog post, I will talk only about the various types of red curry pastes, the mainstay of all Thai curries. A curry merchant such as Ja (“sister”) above can create a special blend for you with additional dry spices. You can discuss with her what ingredients you want incorporated into your curry and ask for the level of heat you prefer. For example, if you are cooking a game meat, the curry expert would add a few teaspoons of Sa Curry Powder to her recommended type of red curry. In Phuket, curry costs approximately 100 Baht a kilogram – about $3. 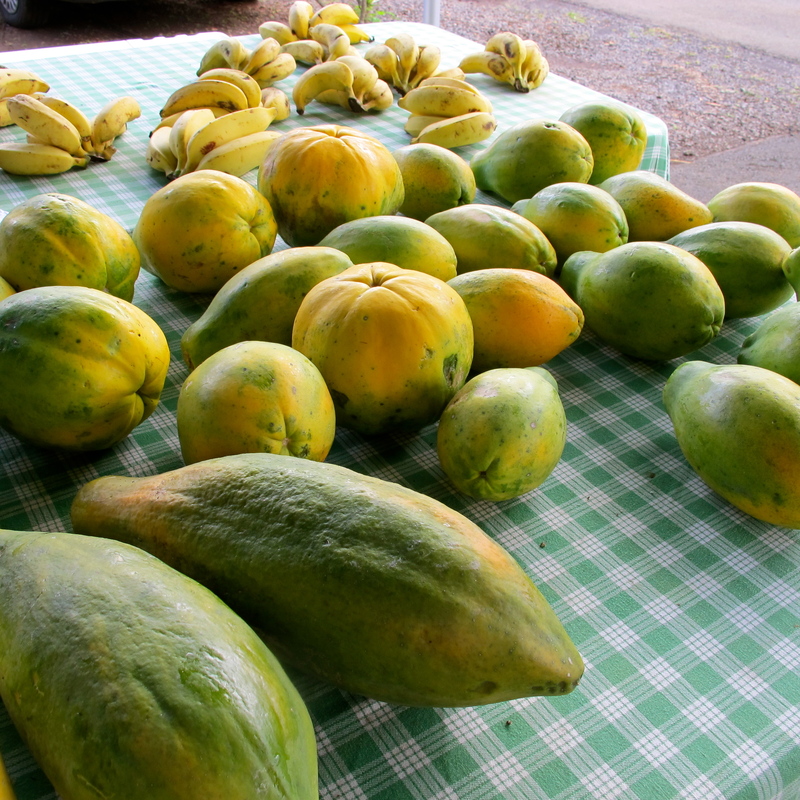 And a small batch of 1 keet – ๑ ขีด- (100 grams) – ๑๐๐ กรัม sells for 10 Baht, about 35 cents. One hundred grams of curry paste is a good amount for making one curry dish for a family of four. My favorite curry merchants in Phuket are from Phuket Town Municipal Market and Kamala Beach Open Air Market. On my recent trip, during my first day at the open air market, my sister and I purchased เครื่องแกงส้ม – Krueng Gaeng Som – sour red curry paste; and เครื่องแกงพริก – Krueng Gaeng Prik – water-based red curry paste; เครื่องแกงเผ็ดกะทิ – Krueng Gaeng Kati – coconut milk-based red curry paste; and เครื่องแกงผัดเผ็ด – Krueng Gaeng Phad Phed – stir-fry based curry paste. And most importantly, we also purchased a genuine shrimp paste from a known source and artisan. Shrimp paste plays an important role in curry paste. Most curry pastes in the US have a small amount of shrimp paste already blended in. Red curry paste is a mainstay in the Thai curry world. If you walk by food stalls on the street with a display of various curries, it is likely that many of them will be different variations of red curries. One type of curry paste doesn’t limit the home cook to making just one curry. There is no limit to your imagination to create curries with all sorts of combinations, with one type of protein such as meat, seafood or poultry and your choice of available seasonal fresh vegetables. There are many keys to what makes Southern Thai cuisine different from other regions; the southern curries is definitely one of them. I hope you find the explanation below of four types of red curry pastes and a style of cooking helpful, and that you will get a chance to prepare some of my Thai red curry recipes. 1) Krueng Gaeng Phad Phed – เครื่องแกงผัดเผ็ด – is a red curry paste specifically designed for a sharp, pungent, hot, and bold flavor. It adds an extra bold flavor to all stir-fries. You may add fresh green peppercorns to stir-fried curries. 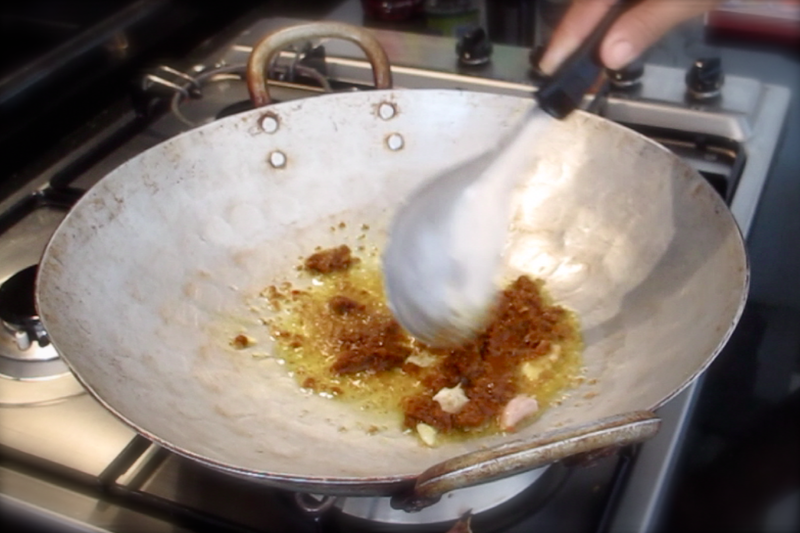 Typically cooking oil is use for stir-frying, with a little water added to make a sauce. 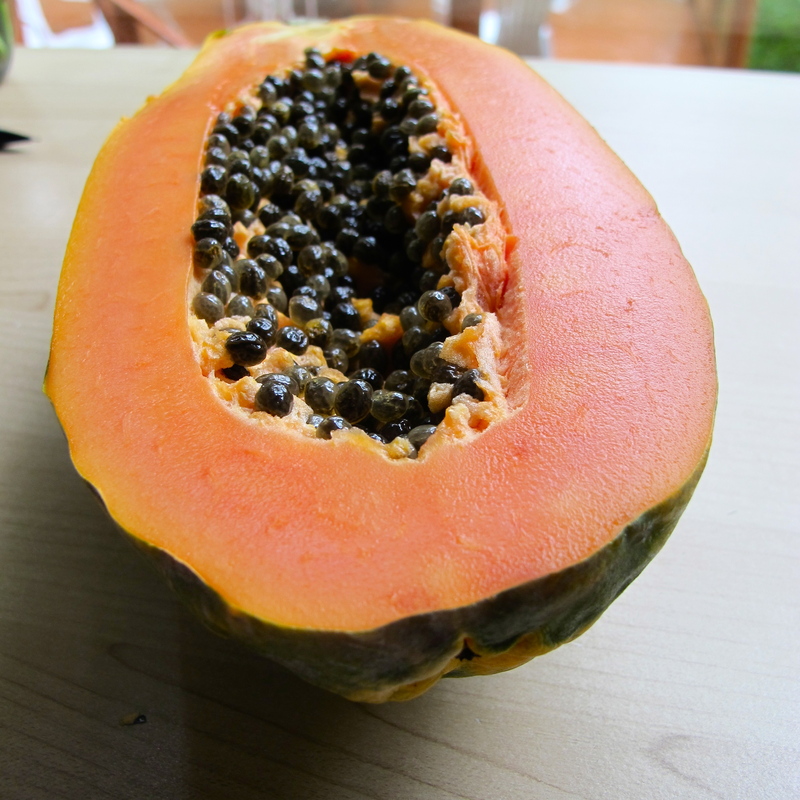 But if the taste is too pungent, a tablespoon or two of coconut milk will reduce the intensity. Please see the recipes that I posted previously on this blog: Phad Phed Talay Tua Fak Yao – Thai Spicy Stir-fried Seafood with Yard Long Bean and Phad Phed Sator Goong Phuket – Stir-fried Spicy Stink Beans with Prawns Phuket Style. 2) Krueng Gaeng Phed Kati – เครื่องแกงเผ็ดกะทิ – is a typical red curry paste. It is a basic paste that is typically cooked with meat, seafood, or poultry and vegetables. In America, and around the world, you will see many brands of red curry paste such as Mae Ploy, Thai Kitchen and more. 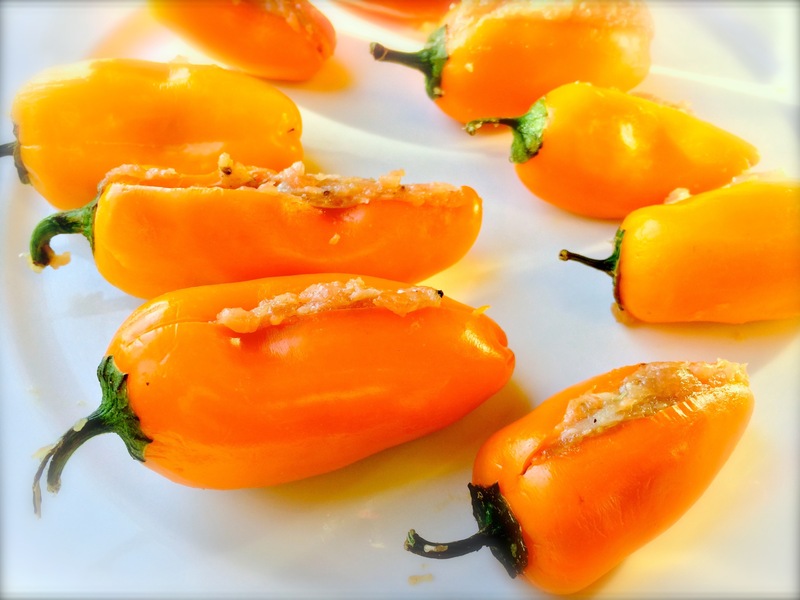 They are not exactly the same as my hometown version, but I often use them to substitute for each other with a hotter flavors and less red in color. For an even hotter version, you can ask a curry merchant for Krueng Gaeng Phed Kati Piset. 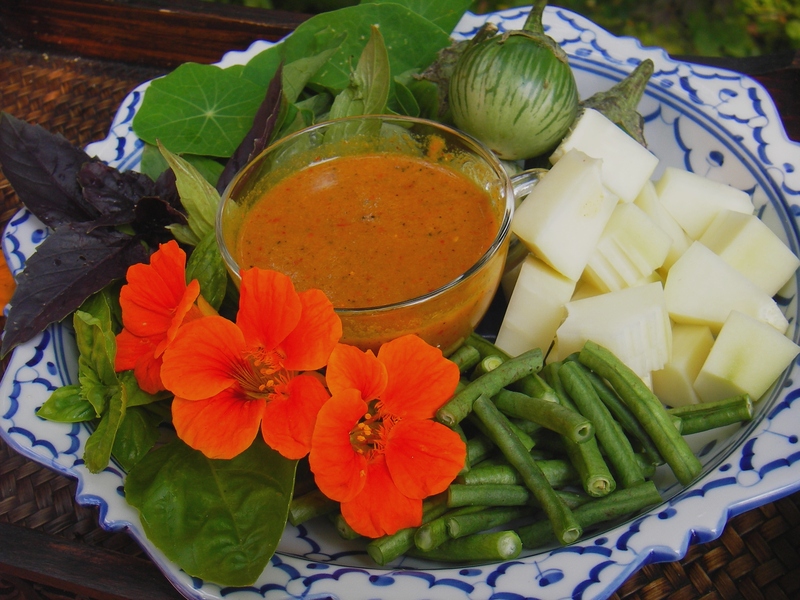 Please check out my recipe for Gaeng Tapo Pla Kem – Red Curry with Morning Glory and Salted Croaker. 3) Krueng Gang Prik – เครื่องแกงพริก – is a red curry paste specifically for water-based curries such as Gaeng Prik – Phuket Black Pepper Curry, which is similar to Geng Pah – Jungle Curry. Jungle Curry is a rustic curry paste we often use with wild fresh herbs and with wild boar. Gaeng Tai Pla – fish maw curry – has more black peppercorn than regular curry paste. 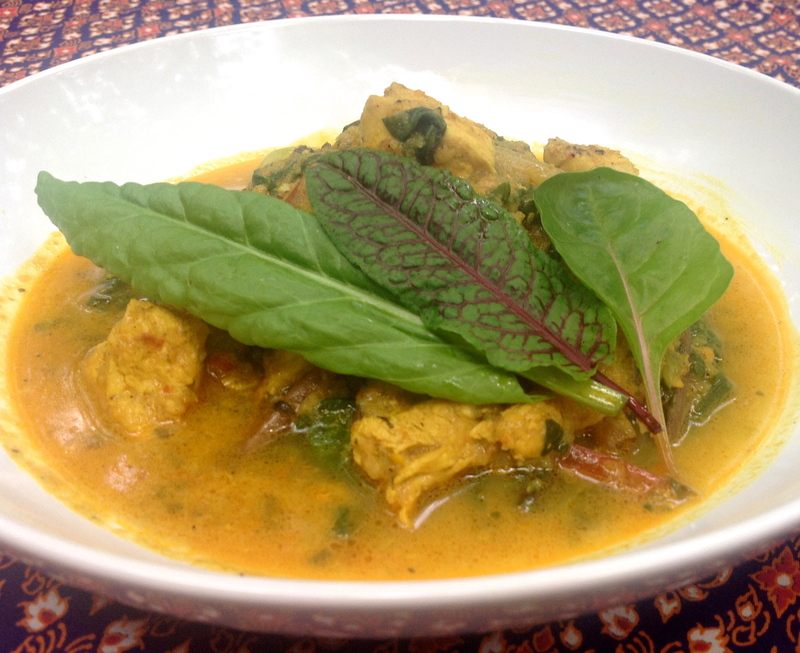 Please check out my recipe Gaeng Pah Marakor – Phuket Jungle Curry with Green Papaya. 4) Krueng Gaeng Som – เครื่องแกงส้ม – is a red curry paste specifically for sour fruit broth / water-based red curry with fish or seafood. The sour broth could be from the fruit, tamarind, or lime juice. 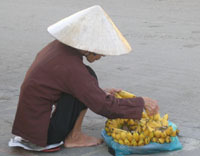 The most famous one is Gaeng Som Pla Nor Mai Dong – sour curry fish with bamboo shoots. You can find this anywhere in Thailand. 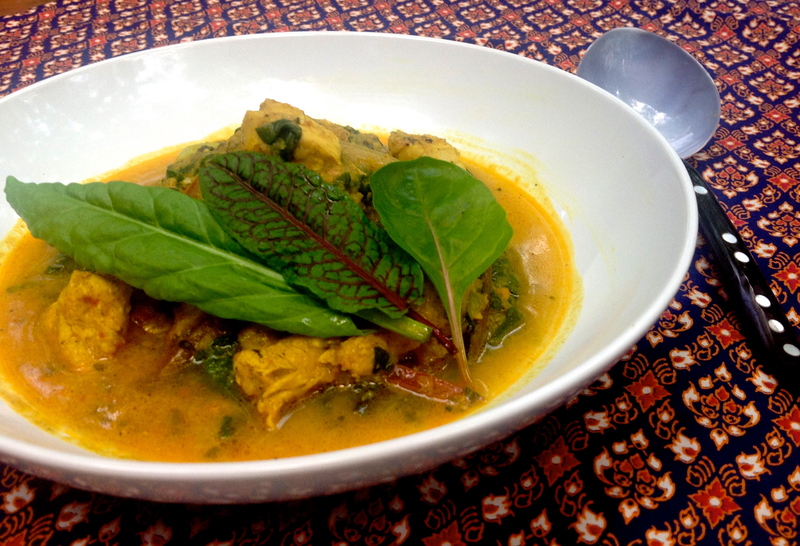 In Pranee’s Thai Kitchen I posted Gaeng Som Pla Talingping – Fish Head Sour Curry with Bilimbi Recipe. There are so many versions of seafood, sour fruit and vegetable pairings that you can create almost a hundred versions of sour curry in Southern Thailand. Among these four curry pastes, my personal favorites and the ones I have had most often are the Phad Phed and Gaeng Som. Can you smell that? Stink bean, called sator in Thai – สะตอ – is also known as Parkia or Petai. It is a flat edible bean that is large, but dense in texture. Whether fresh or cooked, it has a taste and aroma similar to asparagus, but 3 to 5 times more powerful. You may never have heard of it or seen it before. Sator looks a like a large fava bean but is found on a large tree that only grows in southern Thailand, the neighboring countries south of Thailand, and near the equator. At home in Thailand, I have 55 Sator trees in various stages of development. 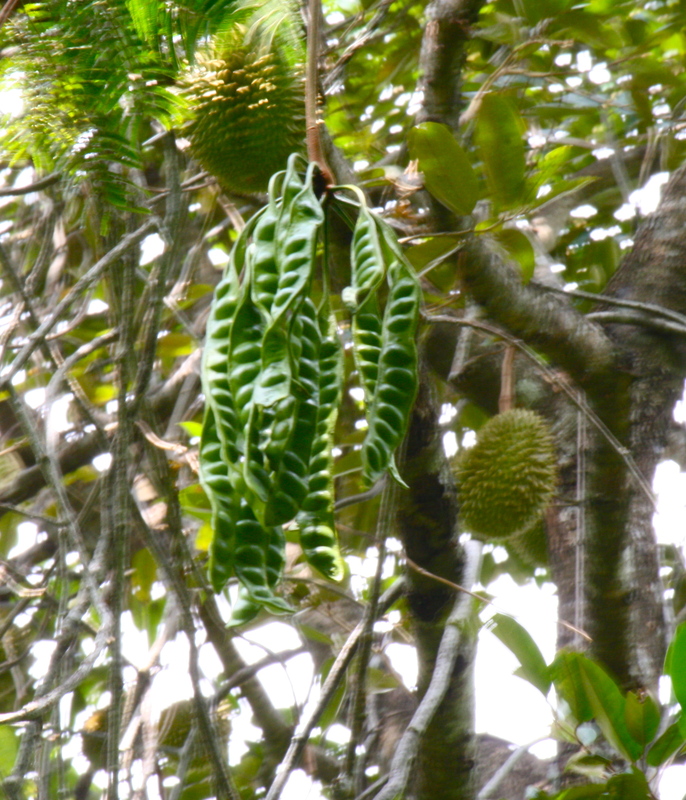 It happens to be a native plant that survives on hilly mountains and thrives side by side with my durian tree. A perfect pair, stinky fruits and stink bean. The scientific term for sator is Parkia speciosa. One cluster has from 3 to 15 pods and each pod can have 6 to 16 beans. 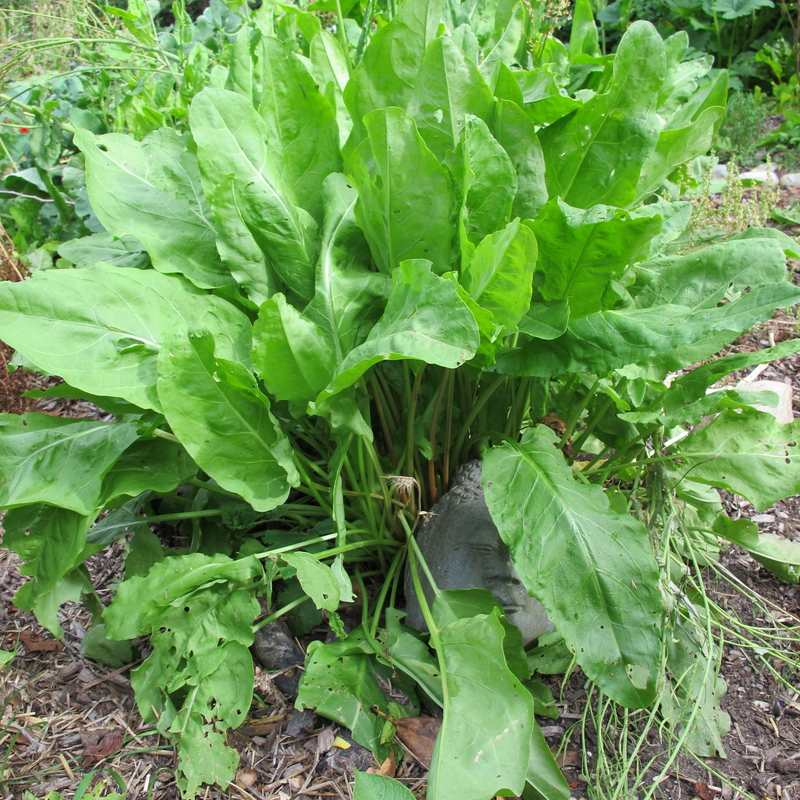 Sator, like asparagus, has an amino acid that is responsible for the noticeable smell. Southerners, like my family and friends, are delighted when the short sator season finally arrives and they prepare and share sator dishes and photos. Below is a picture my niece posted on Facebook on May 30th; many of my friends and other chefs from Thailand did the same. Perhaps the famous smell of this rare edible bean is precious for those who value its deliciousness and take culinary pride in this special bean. One of many food photos of a stink bean dish. This is one my niece posted on Facebook. The dish was prepared by my sister Rudee. 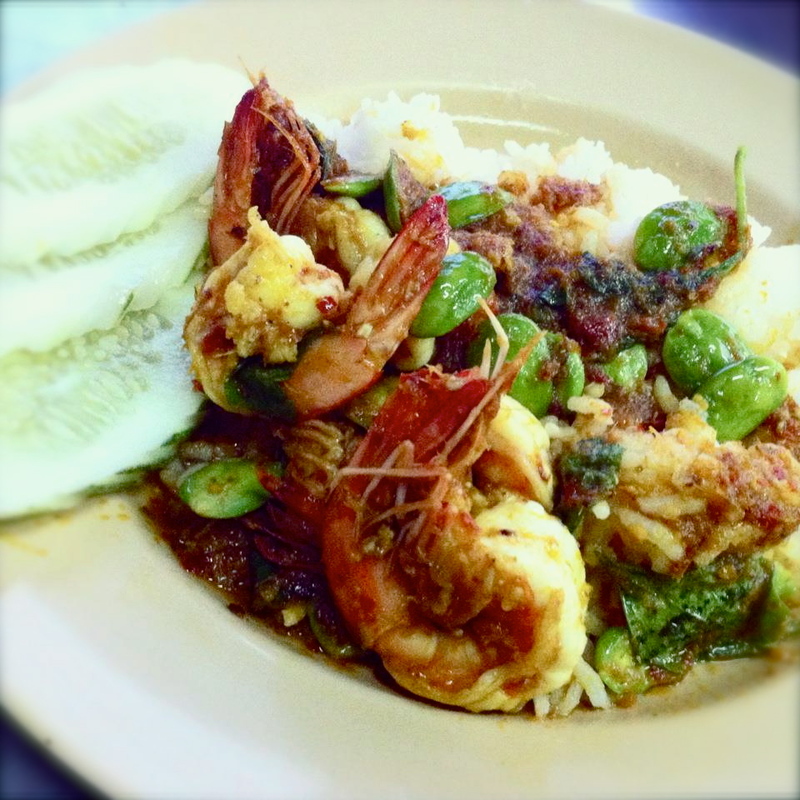 It is a one dish meal of Stir-fried Spicy Stink Beans with Prawns served over steamed jasmine rice. 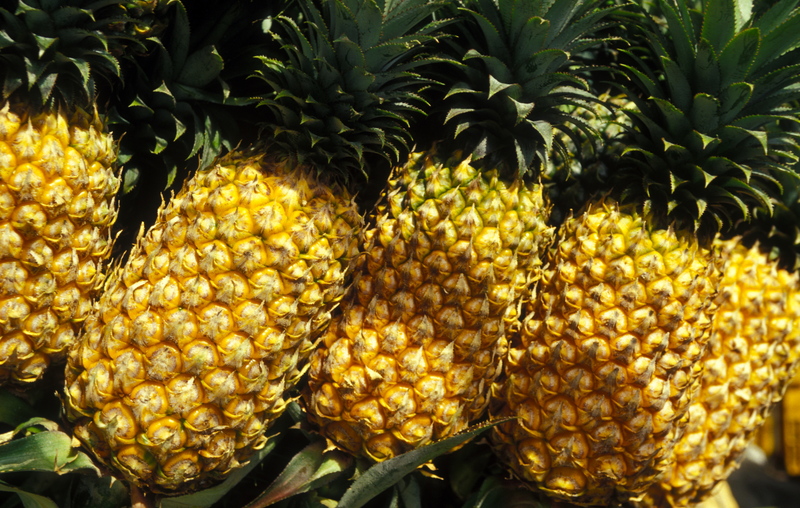 The middle of May is the beginning of sator season in southern Thailand. As the bean starts to make its appearance, sator fans get so excited. 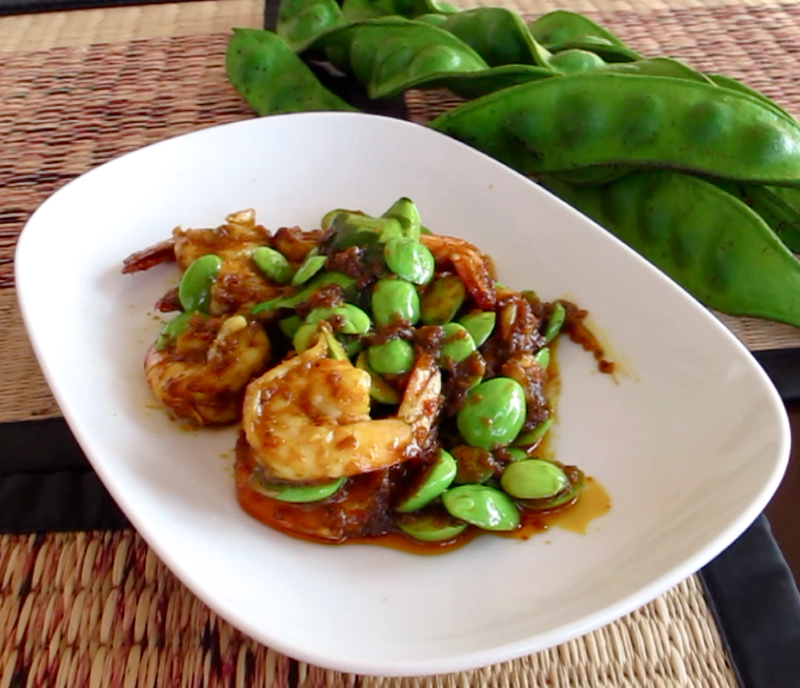 The most famous stink bean dish of all is Phad Phed Sator Goong – Stir-fried Sator with Prawns. 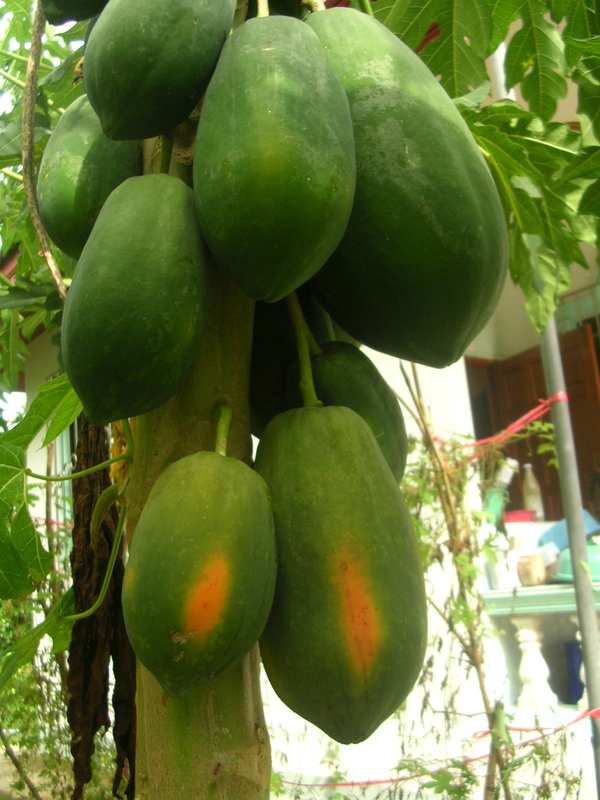 Sator, สะตอ, grows wild in Phuket, a twisted cluster bean that grows on a tall tree, often side by side with durian. What is Sator, Parkia or Petai? It is an honor to once again present you with a local dish cooked by a local home cook, my friend Varunee who also teaches southern cooking on my culinary tour. Varunee will present you with Phad Phed Sator Phuket – Stir-fried Spicy Stink Bean with Prawns, Phuket Style. This is the way my mom and her mom and the local people in Phuket would cook it in their kitchens for family and friends. Please feel free to modify the recipe to suit your liking. There is no substitute for sator, however you can enjoy this recipe with any seafood or with other vegetables such as asparagus, fava beans or edamame for a similar texture. 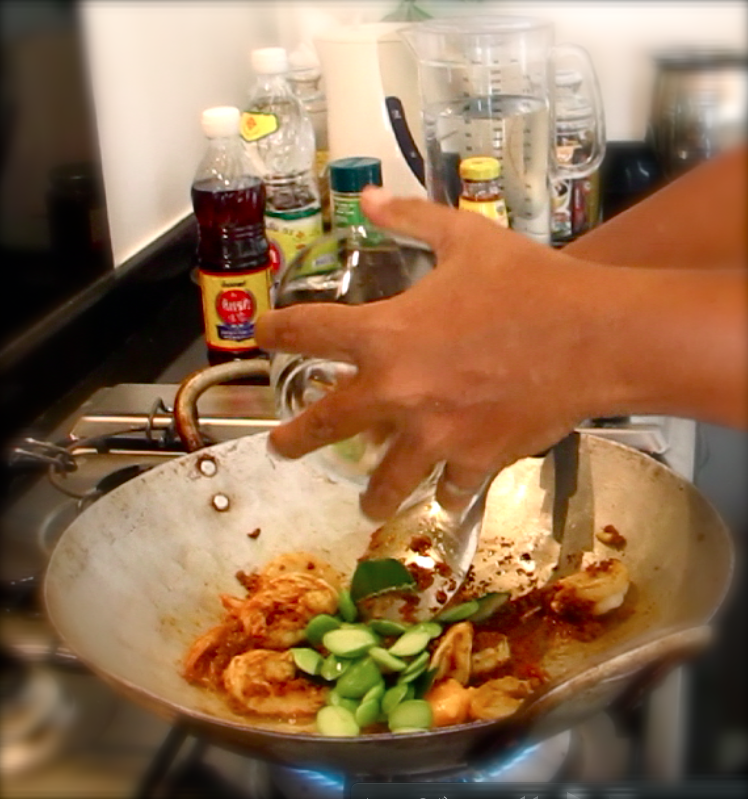 Heat a wok on high heat until it is hot, pour in vegetable oil and then stir in garlic, curry paste and shrimp paste. Stir well until fragrant, about 1 minute. Stir in prawns and stir for 30 seconds. Pour in water. 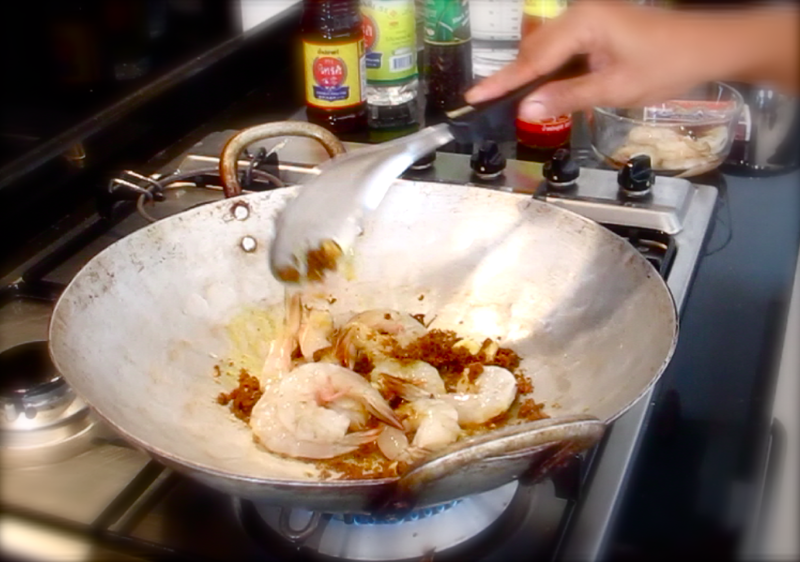 Stir well until curry paste and oil are well-combined and prawns are cooked well in the sauce. Stir in soy sauce. Stir in palm sugar until well-combined. Fold the Kaffir lime leaves lengthwise, remove the vein, then add the leaves to the wok. Stir in sator. Stir back and forth until the sator is partially cooked. Be careful not to overcook the prawns or the sator, which doesn’t need to be cooked very long. A shorter time is better for sator to keep its crunchy texture. 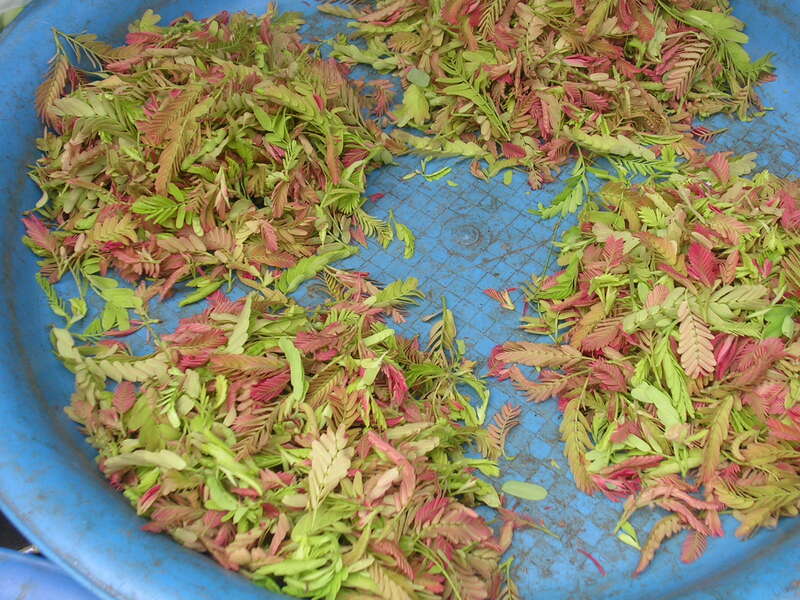 Remove Kaffir leaves. Serve hot with steamed jasmine rice. Please see instructions and photos below for cooking step by step. 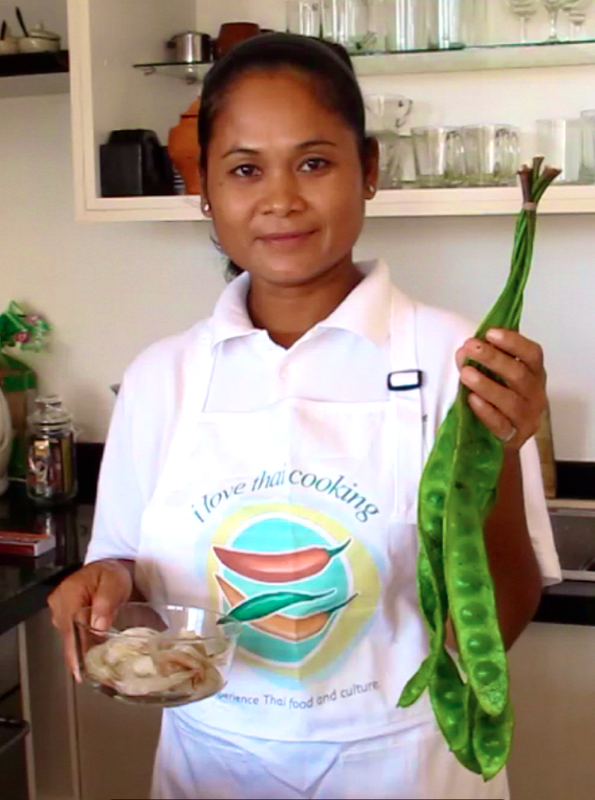 My friend Varunee will show you how to prepare a famous Phuket dish Phad Phed Sator Goong, Stir-fried Spicy Stink Beans and Prawns, Phuket Style. Please enjoy her cooking. In Phuket there are two kinds of red curry paste. One is for coconut-based curry and one is for stir-fries without coconut milk or with very little—just about 2 to 4 tablespoons coconut milk to make the sauce or to tone down the spicy level of the dish. Please do not be overly concerned with this level of complication, use Mae Ploy or Thai kitchen brands as you wish. 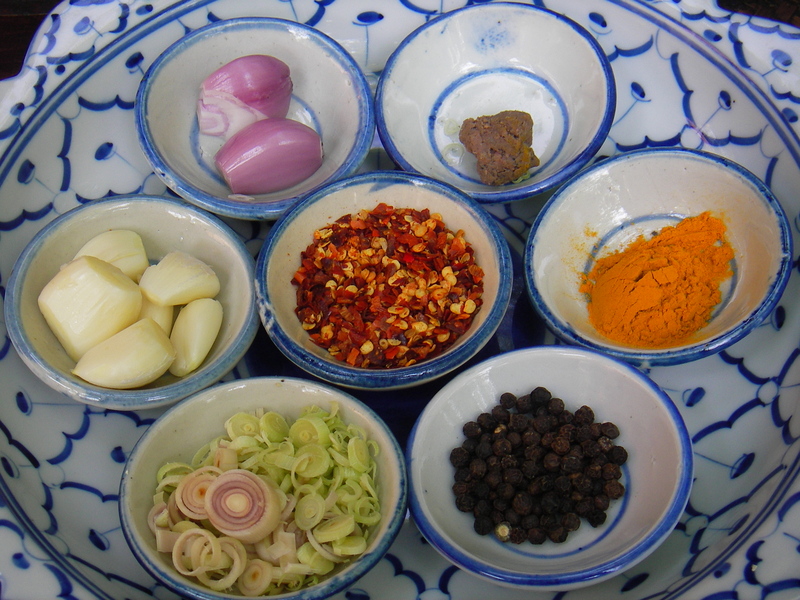 For the best results, I recommend my Phuket Red Curry Paste Recipe. 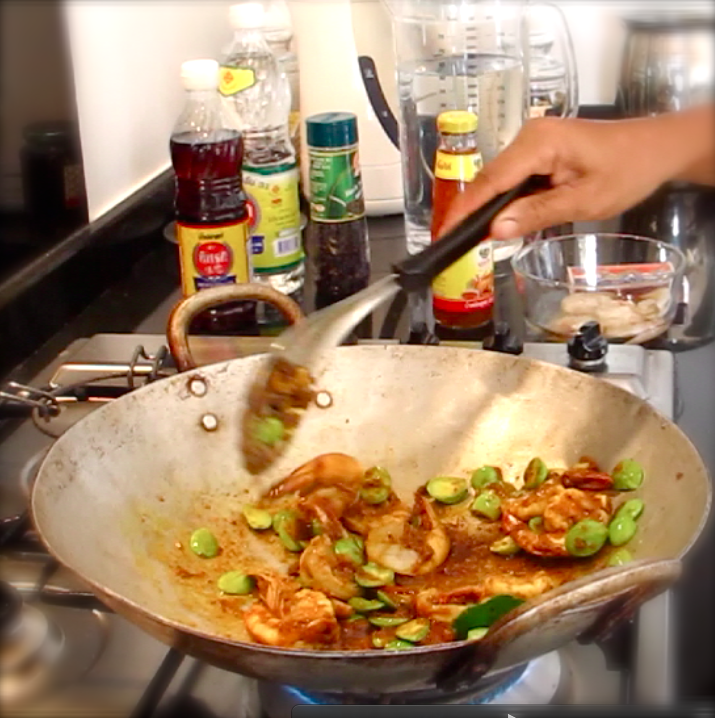 Heat a wok on high heat until it is hot, pour in vegetable oil and then stir in garlic, curry paste and shrimp paste. Stir in prawns and stir for 30 seconds. 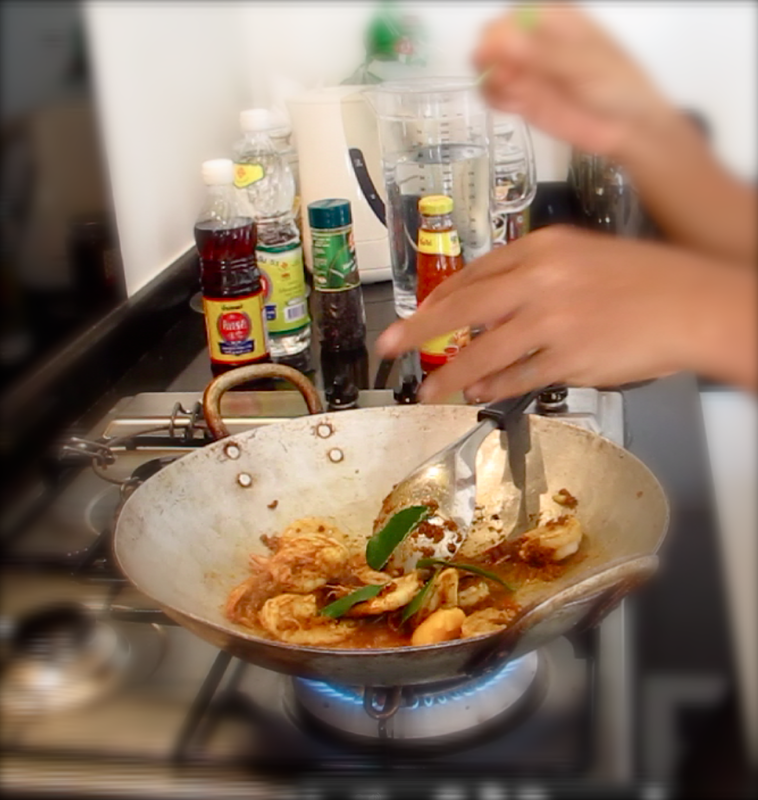 Then pour in water and stir well until curry paste and oil are well-combined, making a good sauce, and the prawns are cooked well. Stir in palm sugar until well-combined. Fold the Kaffir lime leaves, remove the veins, then add the leaves to the wok. Stir back and forth until the prawns are cooked and sator is partially cooked. Be careful not to overcook the prawns or sator. 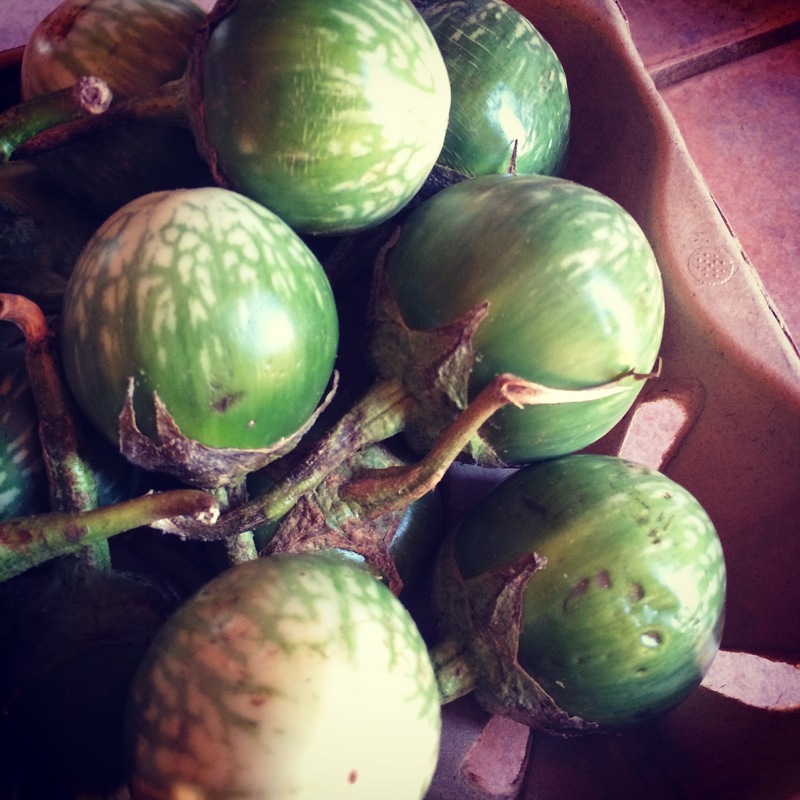 A shorter time allows sator to keep its crunchy texture. 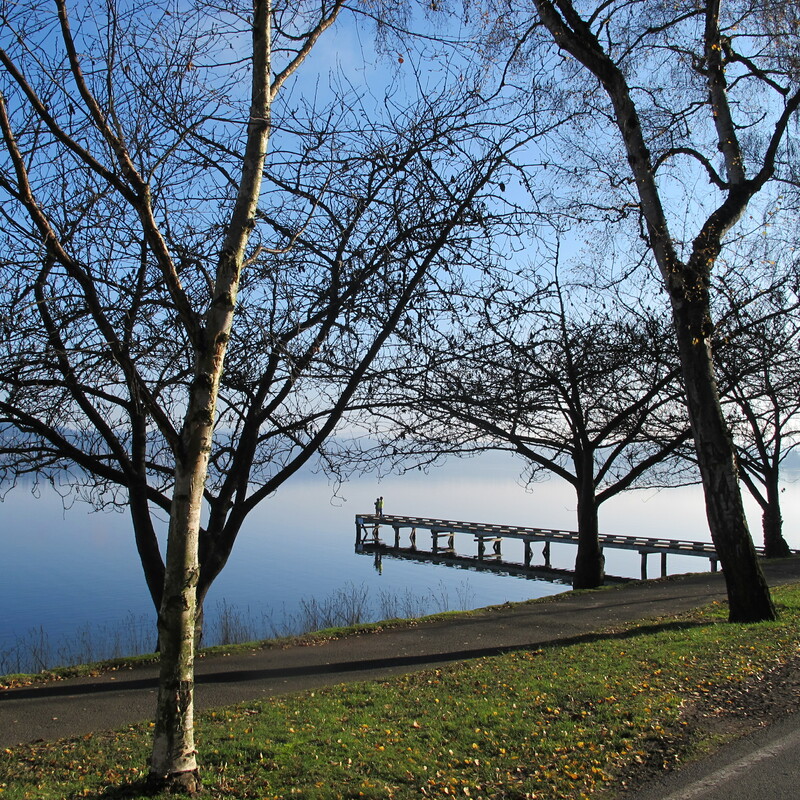 When I drove along Lake Washington toward Seward Park to my friend’s house the other day, the beauty of the drive blew me away. It was one of those rare random days of beautiful Seattle weather that exist just to tease you. I decided to stop and capture the pictures in front of me and ended up arriving fifteen minutes late at my friend’s. I asked her for forgiveness, showing her a dozen photos on my camera. She gave me a pardon. I hope you will enjoy the holiday seasons despite how busy your life is. Like the Thai say, “Sanuk.” It means to have fun. I am lucky that many friends have pampered me with many hearty soups this winter. While savoring these soups, I came up with a plan to create delicious soups to share with you. By playing around with foods during the month of December, I rediscovered some connections among the different Asian cuisines. I enjoyed the process of how this soup came about. 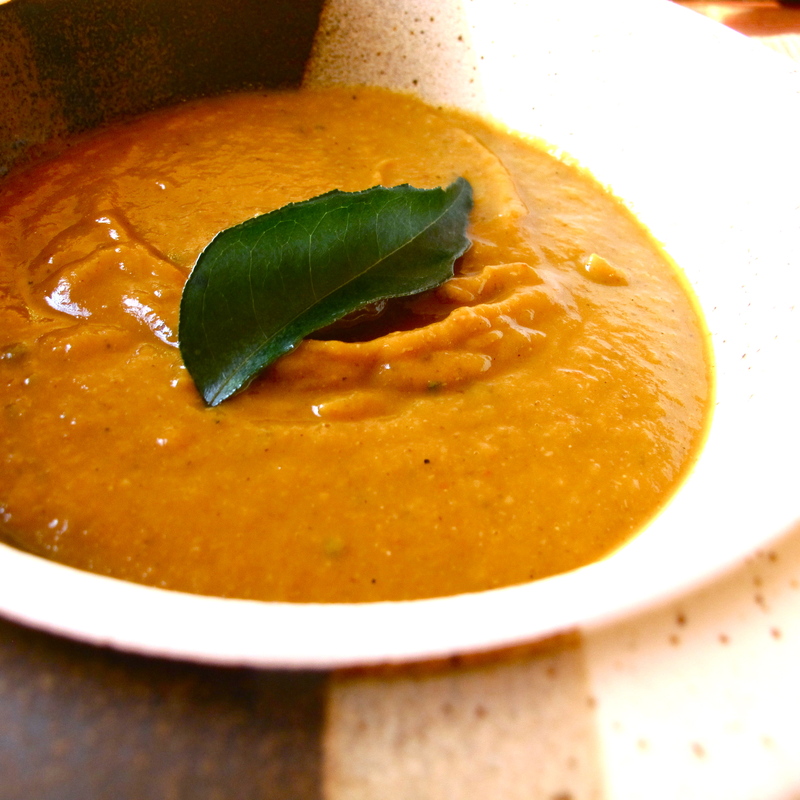 I hope you enjoy the story and the process of making Curried Sweet Potato with Curry Leaf Soup. I hope you will be courageous and look for curry leaves in an Asian market then have a successful adventure making this soup. Happy Holidays to you all! 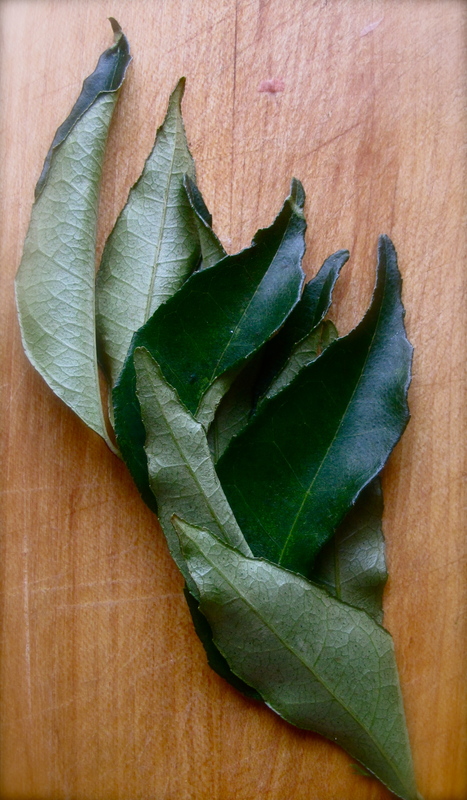 Curry leaf is used in Malaysian, Southern and West Coast Indian and Sri Lankan cuisine. It tastes and smells like curry powder, though more delicate and aromatic. 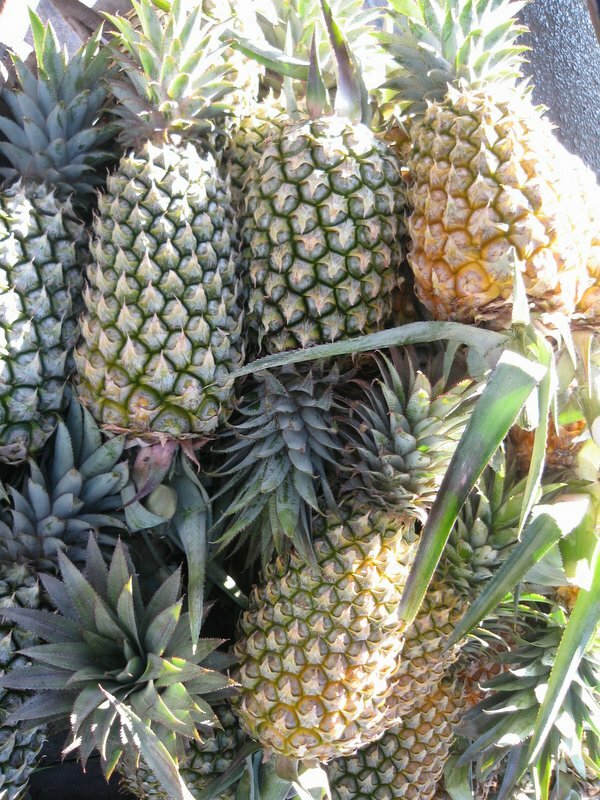 It is available fresh at many Asian markets in the Seattle area. Thai cuisine doesn’t usually incorporate curry leaves; Kaffir lime leaves are usually more dominant. In fact, it was only a few months ago that I actually saw curry leaves being used in cooking. 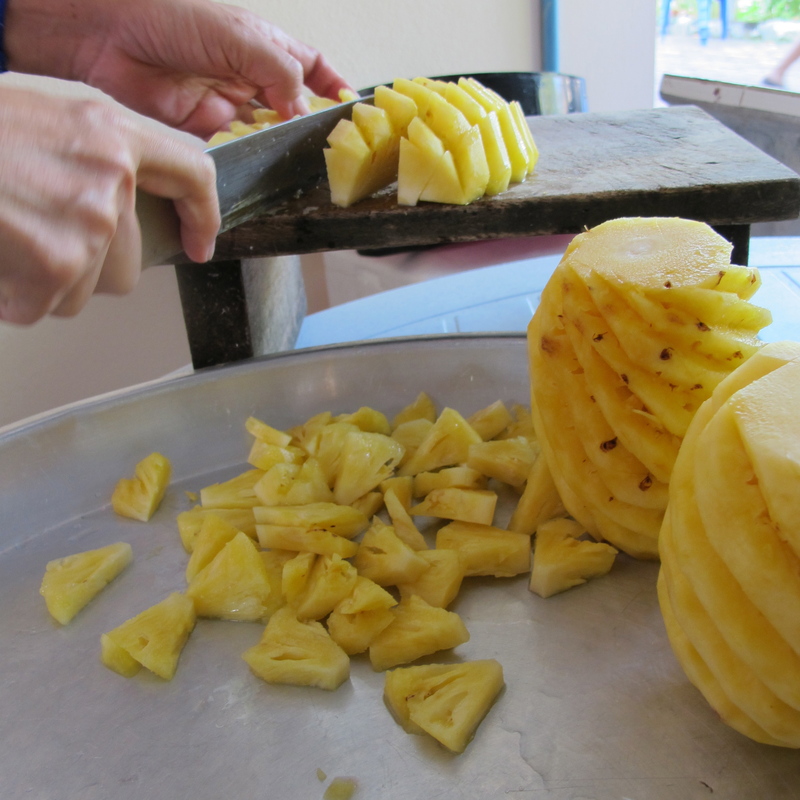 The first time was when I was a guest at a Malaysian cooking lesson given by my girlfriend’s mother in-law. 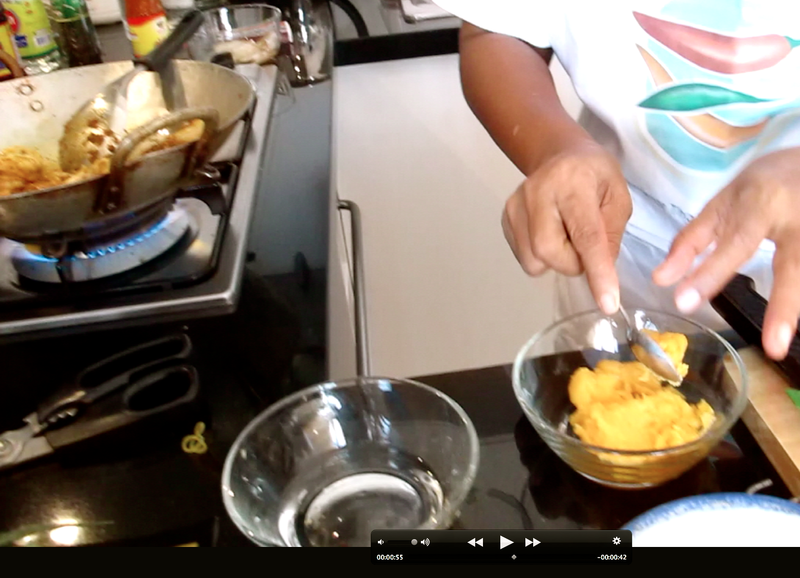 She demonstrated her family’s secret recipe for Malaysian Chicken Curry with Curry Leaf. 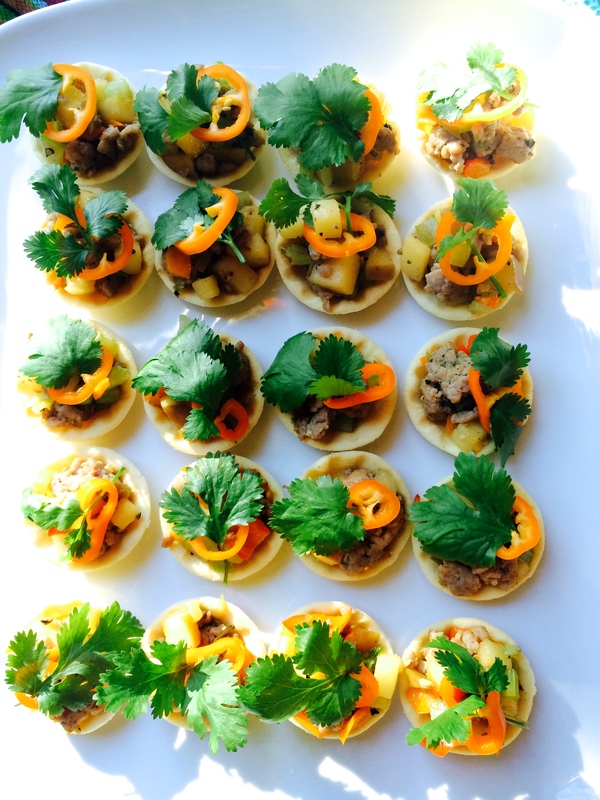 Then in November I took an Indian cooking class from Raghavan Iyear, an IACP associate and the author of 660 Curries. During the class, Iyear said “Use curry leaf in anything just like bay leaf, but do use a fresh one, otherwise don’t use it at all. 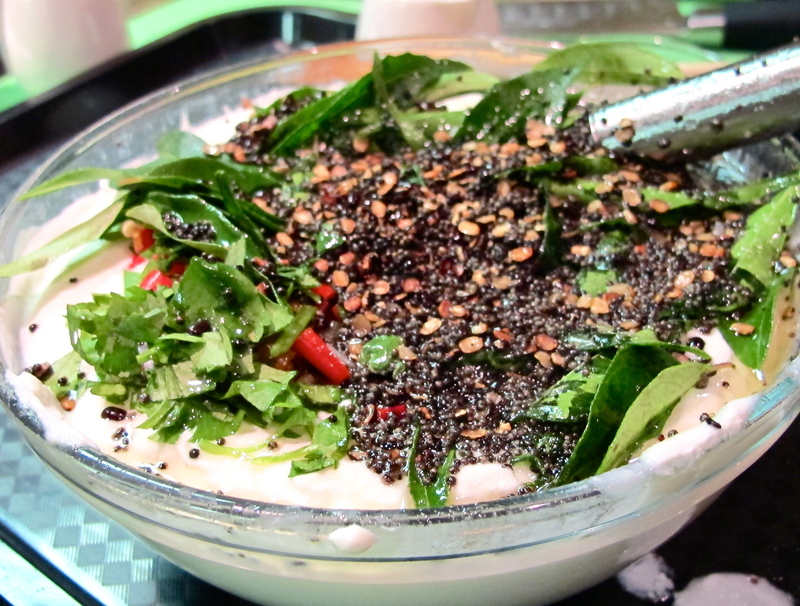 There is nothing left in a dry curry leaf.” He then demonstrated using generous amounts of fresh curry leaves in the recipe Basmati Rice with Yogurt and Mustard Seeds from his cookbook. After those two experiences I was crazy about the flavor of the aromatic curry leaf (Murraya Koenigii). Since then I have had a package of curry leaves in my freezer waiting for its moment. Freezing is another way to preserve the delicate essential oil in the leaf. When you have curry paste, curry powder and curry leaves as staple ingredients in your kitchen, this dish is so easy to prepare. A small amount of oil to fry the curry paste, curry powder and curry leaves helps the natural essential oil and the flavors to bloom. Pay attention and put patience to this step – allow the fragrance to develop and the oil to separate. Then the rest is easy. There is no need to use a large amount of coconut milk, use just enough to give a nice flavor to the curry. If the soup is a little too spicy, increase the coconut milk or next time you can reduce the amount of red curry paste. I use just a little coconut milk in this recipe, cutting back further on coconut milk may effect the flavor and the balance of this curry. I consider this a hearty winter soup with big flavor. In a large pot, heat canola oil, 1/4 cup coconut milk, red curry paste, Madras curry powder and 6 curry leaves on medium-high heat; stir until fragrant, about 1 minute. Stir in diced onions until they become translucent, about 3 minutes. Add sweet potato and chicken broth; bring to a boil, then reduce the heat to medium, and with the lid on, let it cook until the onion and sweet potato are softened, about 30 to 40 minutes. Stir in fish sauce and 1/4 cup coconut milk, stir for 30 seconds, then remove from the burner. Use an immersion blender or a tabletop blender to puree the soup. 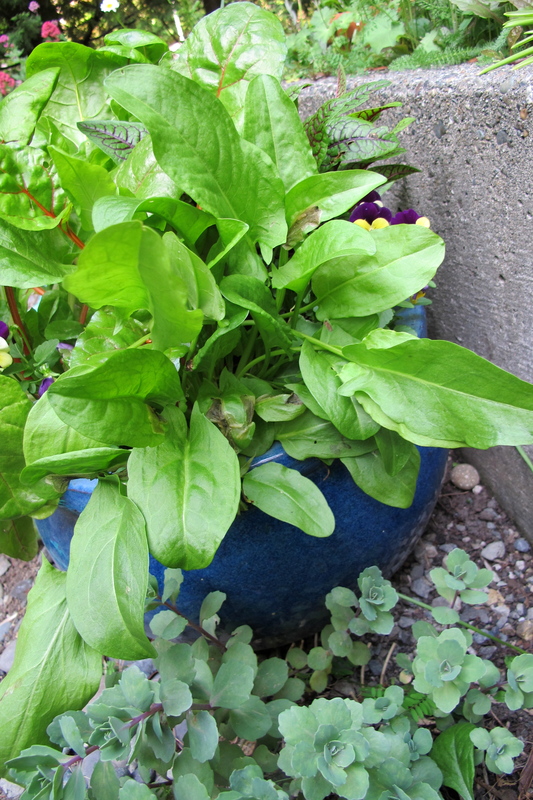 Serve in a soup bowl and garnish with curry leaves.